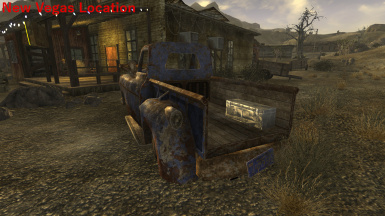 Fallout - New California Needed for the NC version of the mod, as they are in the NC World. 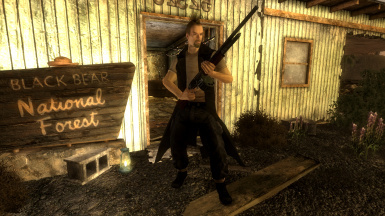 The Fallout New California team, without their mod, I wouldnt be Inspired to create mine. EPDGaffney for all of his help. 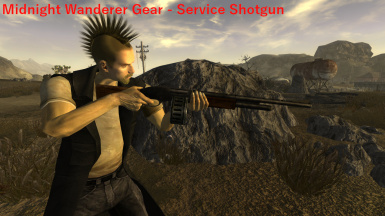 This simple little mod adds a new piece of armor in to Fallout New California, The Midnight Wanderer Armor, the mod also adds a new, hand crafted weapon alongside it called the Service Shotgun. The Service Shotgun and Midnight Wanderer Armor have both been made from vanilla meshes and with custom textures created by me to give both of them a unique and different feel to those who use the gear. 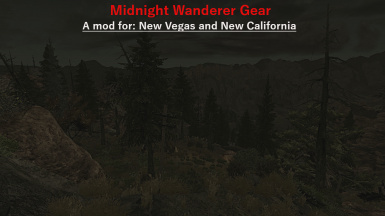 Midnight Wanderer Gear - NV: This version places a chest in Goodsprings, right next to the Saloon (See Images) for players of New Vegas to use and enjoy. 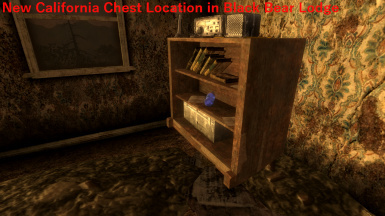 Midnight Wanderer Gear - NC: This version places a chect in Black Bear Lodge, in the room with the double bed (See Images) for players of New California to use and enjoy. 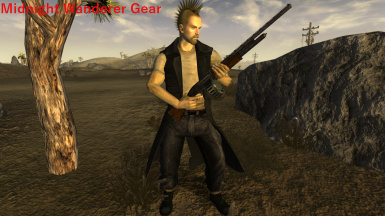 The armor is on par with combat armor (In my opinion) and boast a duster to keep you warm, dry and stylish whilst you traverse the world, The weapon is on par with a hunting shotgun, but with slightly better stats. This is the first Weapon and Armor I have made, so please do not expect it to be 100% perfect, however any issues please let me know and I can fix them, practice makes perfect. 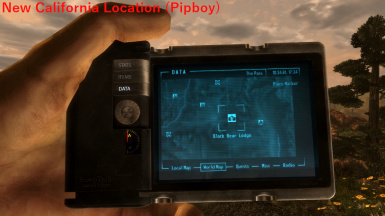 I hope this mod helps you just as it as helped me! -EPDGAFFNEY - For his help on the Collision and Meshes for Service Shotgun (and much advice).